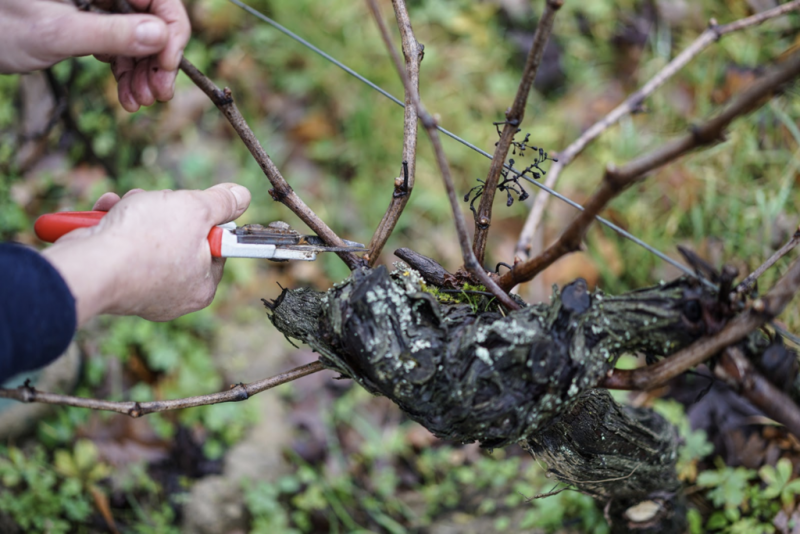 It may not be malolactic fermentation, but pruning involves some important concepts that should be understood in order to grow vines that will regularly produce beautiful bunches of grapes. The first thing to know is that vines should be pruned at least once a year, and the best time to do that is at the tail end of winter. 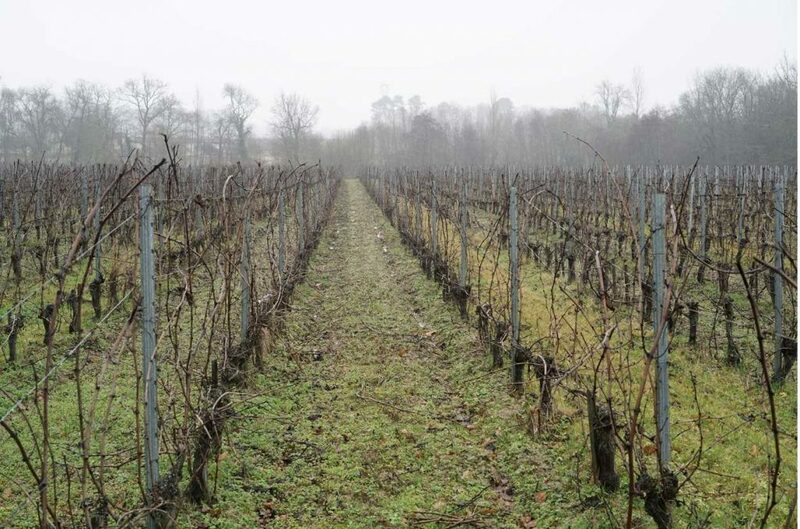 During winter grapevines enter a vegetative rest; this dormant period is the best time to prune them, although it’s important to wait until it’s warm enough that the likelihood of future frosts is practically nonexistent. 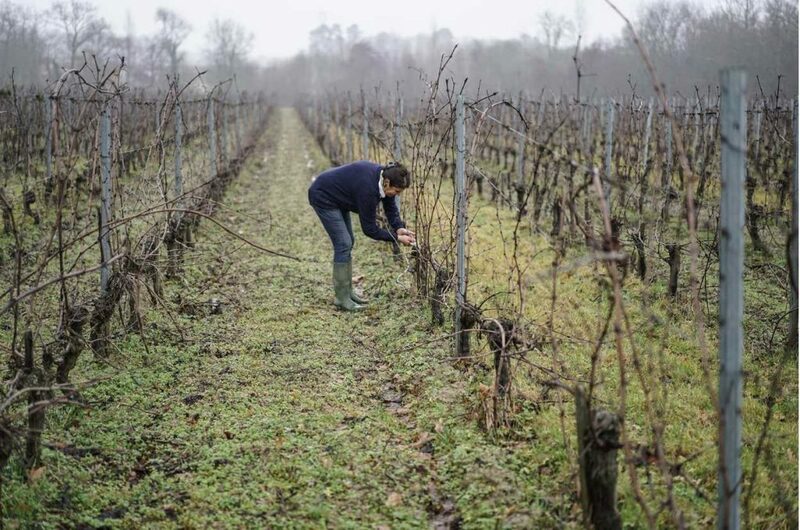 In most climates where wine grapes are grown, that point—when it’s been about two weeks since the temperature last dipped below freezing—will usually fall in February or March. The most common mistake people make when pruning grapevines is simply not pruning enough. There is a serious need to reduce old growth on your vines as much as possible in order to encourage new wood to grow. A winegrower can remove a shocking amount of the previous year’s growth each winter—usually at least two thirds, and sometimes up to 90%! The reason for that aggressive pruning is, quite simply, because grapes grow best on wood that’s exactly one year old. Buds grow into shoots on one-year-old canes, long stems that have produced fruit for at least a year and can eventually produce grapes. The most productive canes are, unsurprisingly, those that were exposed to ample sunlight during the growing season (yet another reason to trim back overabundant growth: it can block valuable sunlight). When a bud sprouts in spring and grows into a new shoot, that shoot will change color from green to brown by the end of the growing season, at which point it is considered to be a year old. Then, the *next* spring, some of the buds on those year-old shoots will flower (flowering happens when average daily temperatures are in the range of 60 to 70 degrees) and develop into grapes, while the buds on older wood will not. 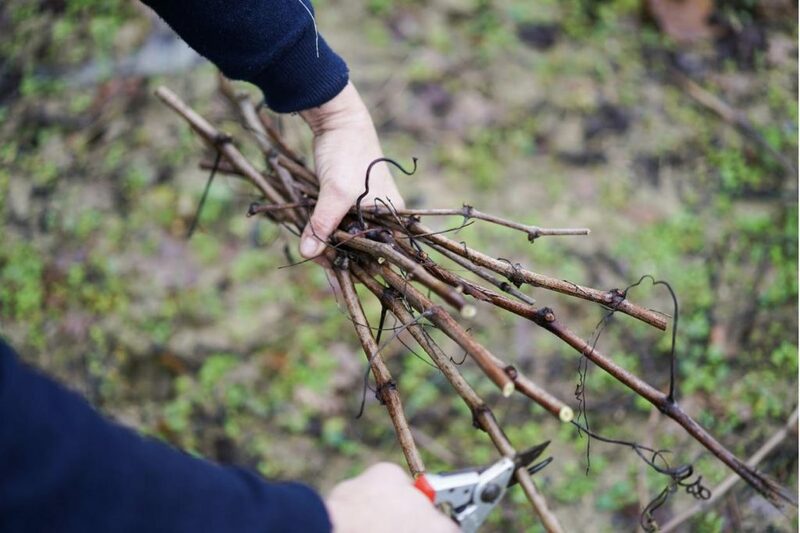 You could say that the key reason for pruning grapevines is to maximize the quantity of year-old branches on each vine but (here’s the trick) without growing too many grapes. 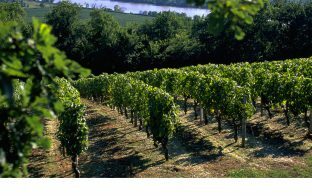 Otherwise, there simply won’t be sufficient nutrients in a single vine to allow all your grapes to ripen to the ideal level. Without careful human interference, a grapevine will quickly become a dense tangle of mostly older wood with relatively few branches that can actually produce grapes each growing season. The denser and more unruly your vines become, the worse the air circulation will be, increasing the chances of a fungus attacking good grapes. Remove any diseased branches or grapes immediately (the wood itself may appear diseased, or it may be bearing grapes that don’t ripen or are infested with mold) and either incinerate them or have them removed from your property. It’s important to sterilize your pruning equipment between work on different vines, and the best way to do so is by using a solution of 70-100% isopropyl alcohol. Any cuts that aren’t made flush to a trunk or branch should be made at least one inch above a bud and at a roughly 45-degree angle. This is important since it won’t allow rainwater to settle into the small indentation that often develops where a branch has been cut. In conclusion, pruning is undeniably a labor-intensive process, but one that’s absolutely vital to the health of your grapevines and it must be done every year—no exceptions!